The final mountain stage of the Giro d’Italia saw Mikel Nieve win on his birthday and Chris Froome increase his overall lead ahead of Sunday’s final, processional stage into Rome. Barring an accident, Froome will win his first Giro, to add to his four Tour de France titles and one Vuelta a Espana. Richard Moore and Daniel Friebe report from the ski resort that sits almost at the foot of the Matterhorn, though the podcast begins from Susa, where the 20th stage started. 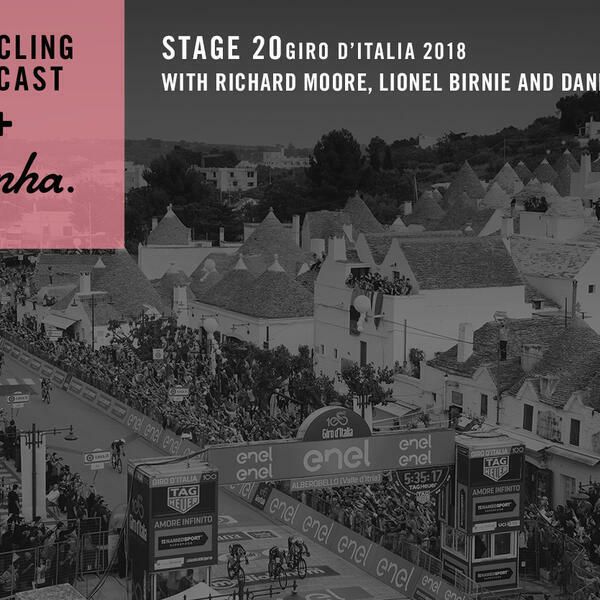 There, we hear reaction from Alex Dowsett, George Bennett and others to Froome’s extraordinary performance on Friday, when an 80km solo break turned the Giro on its head. There are also interviews with Simon Yates, whose dreams of winning were ended so cruelly the previous day, his teammate Svein Tuft and sports director Matt White. And there is reaction from Domenico Pozzovivo and Sebastien Reichenbach, whose team leader Thibaut Pinot suffered his own woes on Saturday.